We speak to Elliot March and James White, the founders of March & White, about luxury interiors, designing for super-yachts, and the trends we will see in 2019. With offices in London, New York and Los Angeles, March & White are an international design house that specialises in high end, luxury interiors. 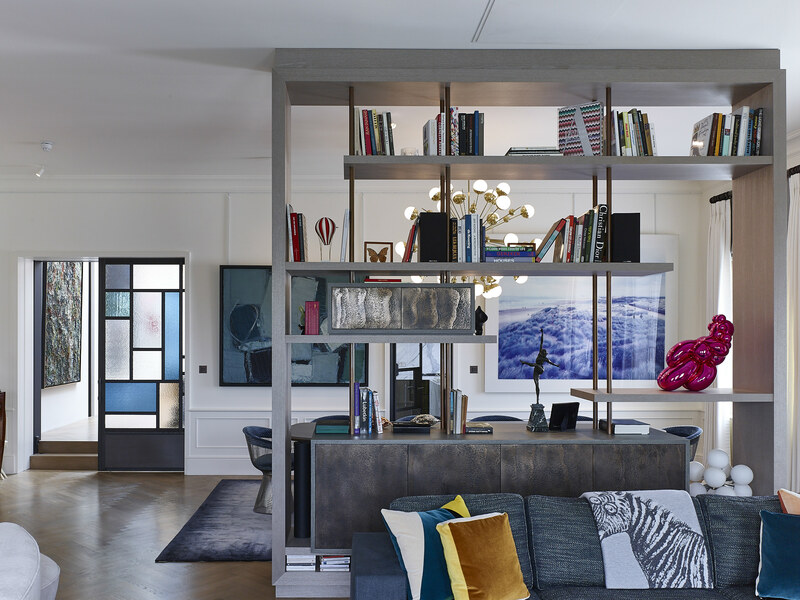 The studio was founded by design duo Elliot March and James White, who see architecture and interior design as “the starting point for projects that demand an extraordinary level of design”. 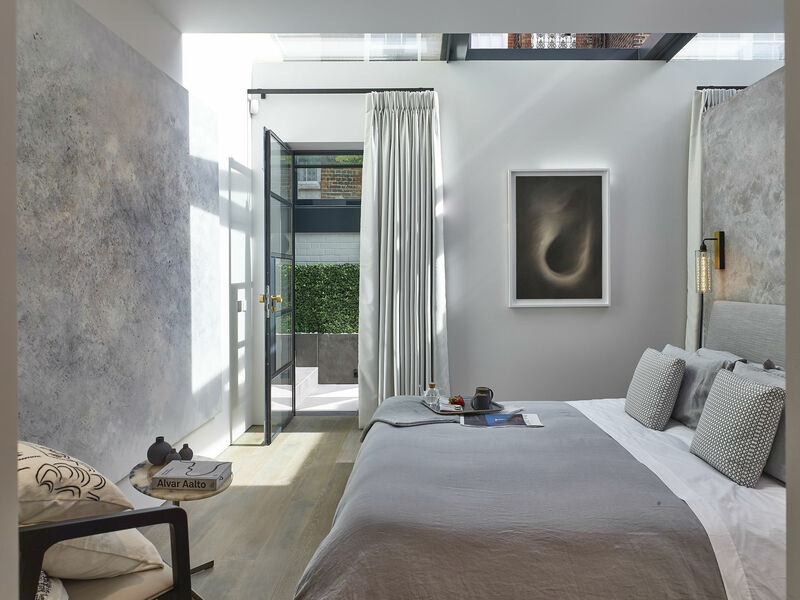 March & White’s work now spans the sky, sea and land; the studio has previously designed for super yachts, as well as several private members clubs and luxury residential properties in some of London’s most exclusive neighbourhoods. With such an expansive and diverse portfolio of works behind them, March & White seem to be moving from strength to strength. Intrigued to find out more, DesignCurial sat down with March & White’s founding duo to discuss the history of the studio, the challenges of working in luxury design, and what interior trends we can expect to see in 2019. How did March & White begin? We met 20 years ago at university, when we both arrived late. After getting put in the ‘naughty bin’ together, we had time get to know one another; we saw each other’s work and found a way to work together. After graduating, we went to separate architectural firms to build our experience - and then joined forces in 2010 to launch March & White. Since then we have opened offices in London, New York & LA, employing over 45 people. At March & White we regularly take inspiration from our work with hotels and members’ clubs and adapt this for residential projects. At the simplest level, we’re designing more and more private homes with unique, special bar designs; this is even beginning to translate to some residential apartments where we are designing with elements of the unexpected, such as a hidden bar or humidor. We’re architects as well as interior designers, and really like to consider how the two disciplines merge to create a holistic product, or home, that works from the inside out. We always challenge ourselves and our designers to create designs that draw inspiration from other sectors. For example, our residential projects are inspired by cutting edge yacht, jet and automotive designs. Our aesthetic is ‘elegance with an edge’, and we are constantly developing what this means. We’ve also just designed our very first piece of furniture, the Bar C(ART). What we consider to be the ultimate in luxury, the Bar C(ART) is a compact and moveable bar that connects the sophistication of a bygone cocktail era with contemporary spaces in the home. With regards to yachts, designing for an interior-at-sea comes with its own issues and problems that we have to overcome. For instance, materials both look and perform very differently in these conditions. Wood veneers must undergo extensive UV testing to ensure they will not fade (due to the high solar exposure over time), which changes the way you pick both finishes and apply colour. The vessel is also moving so things do rattle! This has to be taken into consideration when thinking about millwork and the detailing. This was one of the main challenges we encountered when designing our first yacht. However, our architectural background means we’ve always considered flow and movement very carefully. 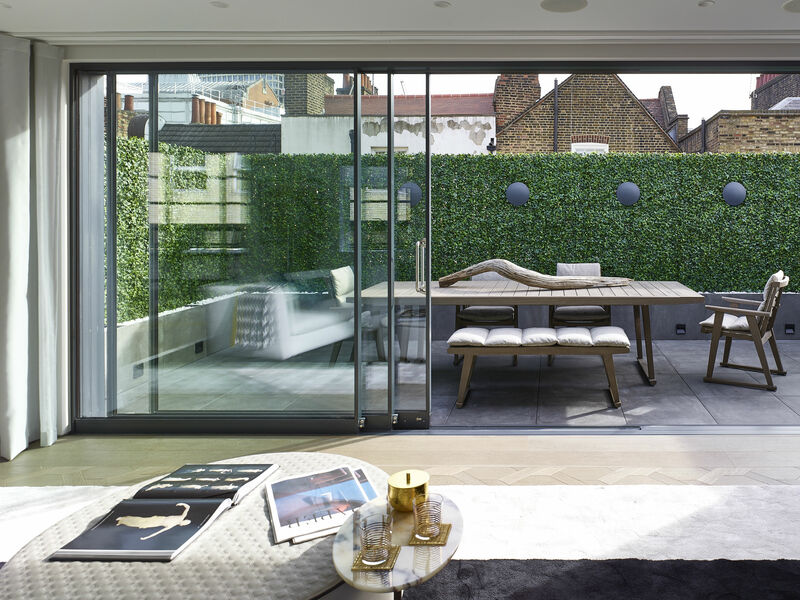 In smaller private homes, it’s about being very clever with space, making spaces feel larger and easy to live in. In large, or very large homes, it’s about understanding two levels of circulation: the public and the private. On a yacht both of these also come into play, and so we really have to understand this movement and integration to create a comfortable interior for the owner. Are there any major differences when designing super-yachts to residential properties? The space within a yacht feels extremely precious. Every detail, finish, and design solution must have a purpose on a superyacht or else - in our view - it shouldn’t exist. We have to literally weigh the interior on a yacht, to not exceed the permissible gross tonnage. Our aesthetic seems to become more honed, and we find that the client is very conscious of what they do and don’t like because of the cost implications. The difference is in the exploration of materials; the artisans and craftsmen we work with for superyachts bring another level of quality and really understand our concepts and creativity. 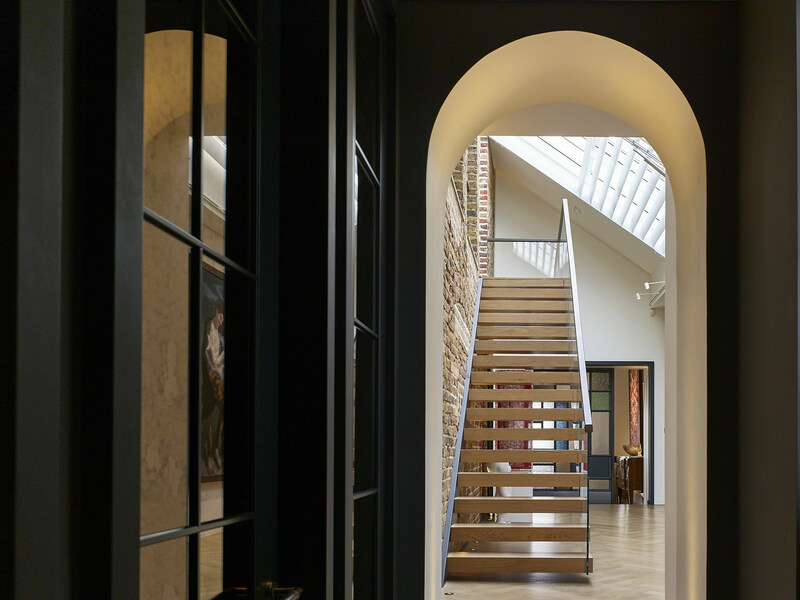 This is something that has influenced our private residential work too – we’re privileged to work on some incredible private spaces, and some of the homes we are creating demand the same level of detail. This layering of detail undoubtedly changes the aesthetic. What major trends are you currently seeing, if any? We find that luxury spaces are becoming more and more sophisticated beyond the finishes. Adaptable furniture and invisible technology are really interesting, and are recurring trends we’ve incorporated a lot recently. Is there anything clients are requesting now more than they used to? We’re certainly seeing a shift when it comes to yacht clients. Yacht design, as with high-end residential, always reflects the client’s passions. There’s been a big move within the younger generation of owners towards yachts that have a real focus on fun, exploration and wellbeing. Historically, many superyacht interiors have been designed to feel like floating homes - so many with dark wood panels and interiors that don't match the exterior. We see superyachts heading in the same direction as the new owners we’re work with; openness to striking forms; ‘something different’; or explorer vessels with luxurious interiors that work with the exterior, and reflect the concept of having fun on the water. Where do you see the future of luxury interior design / architecture moving? We work globally and demand ebbs and flows; the true global hubs of the world such as London, New York & Los Angeles - which we operate out of - will always hold over time. We’re also getting involved in luxury branded developments with 5 star hotel amenities. We see this as a massive area of growth over the next few years for the Pied a’ Terre buyer who wants to own in a global city, but doesn’t want to deal with the complexities of buying, renovating and maintaining their property. Any trend predictions for 2019? Metallic tones in copper, bronze, and gold had their moment this past year, and they’re not going anywhere anytime soon. Metal - especially bronze - is a huge detail in our work. From bathroom and kitchen finishings, to furniture pieces and smaller accessories, the addition of metallic touches all help to add a luxurious finish to a room. Having been a trend in hospitality projects for some time, bold patterns are now expanding into residential projects, which we see becoming a trend for 2019. From oversized art panels, cushions and throws, to rugs and upholstering statement items, this is an easy way to add personality and character to a space, whilst also pulling a scheme together cohesively. More often than ever, we’re being requested to incorporate the ultimate ‘Instagram moment’, particularly into our hospitality projects. Not only is this super creative and bold, it often creates a statement within any interior, keeping both the client and user happy. From floral displays to bold colour/pattern statements, to feature lighting details - the possibilities are endless!